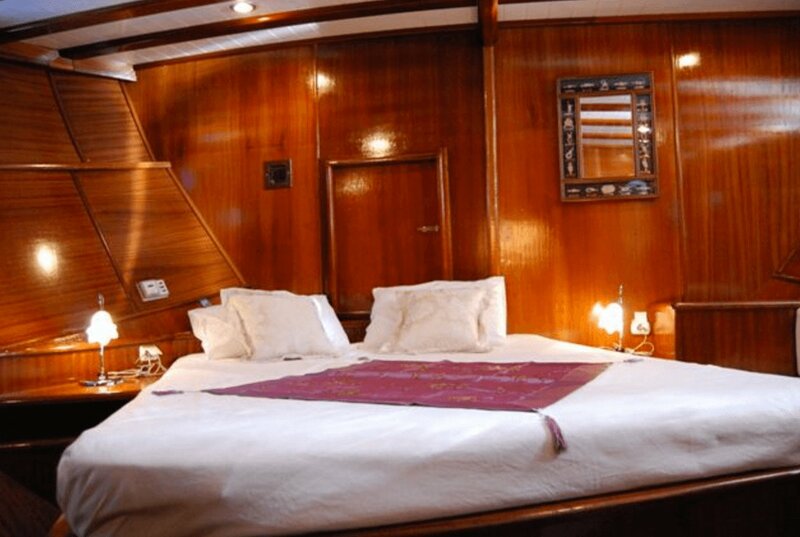 The vessel was built in 2006. 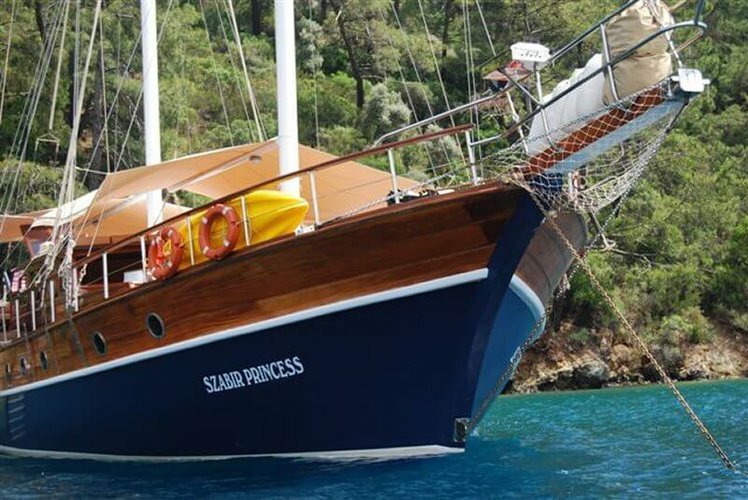 After a renovation in 2017, she took her final form that you can all enjoy today. 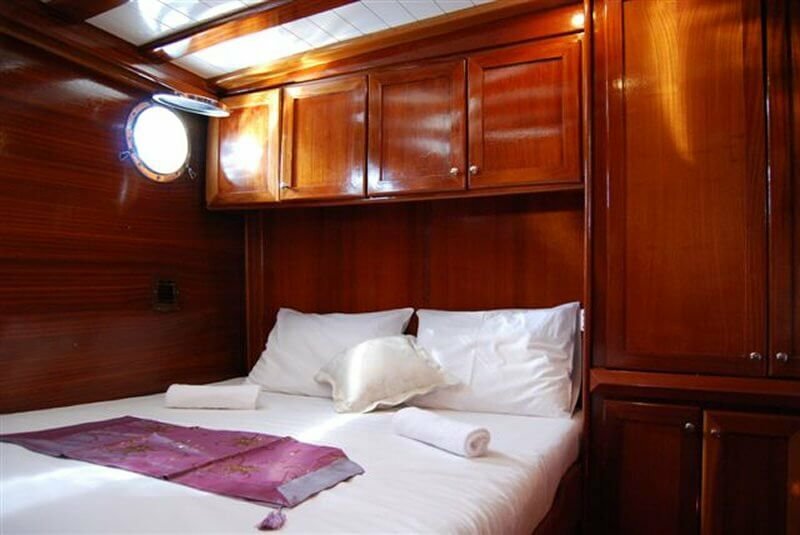 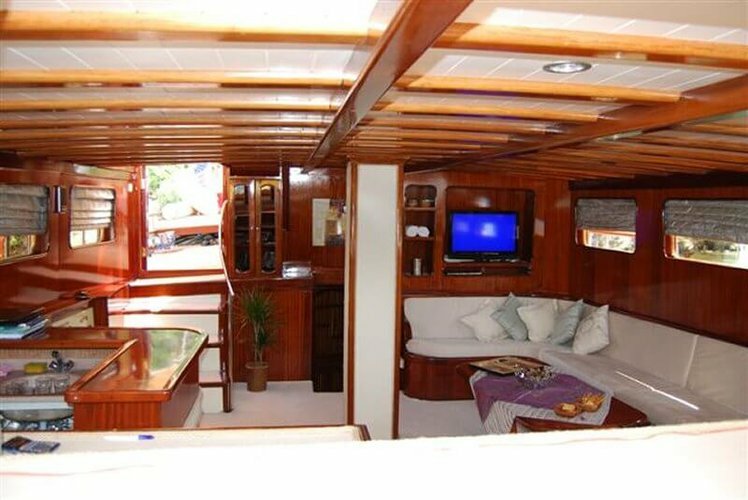 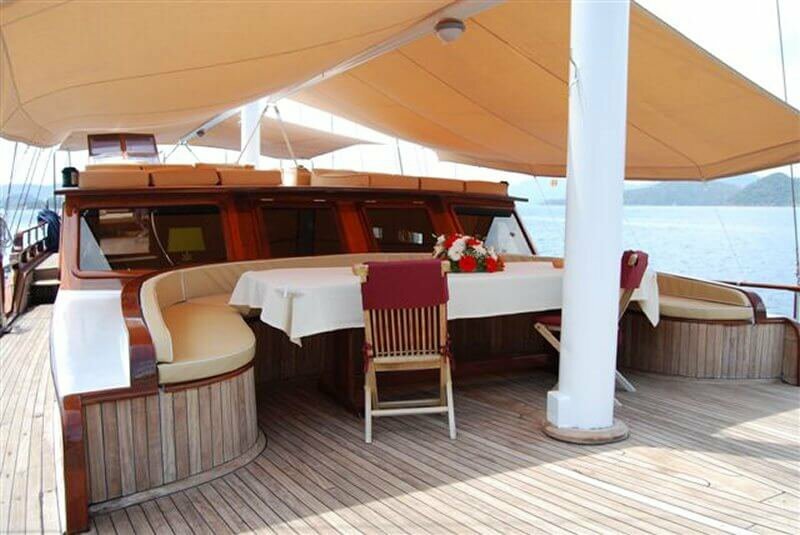 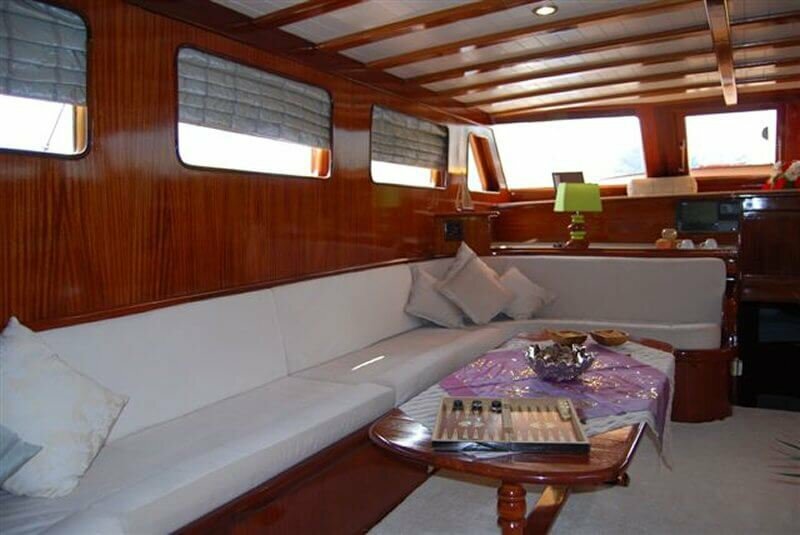 She is 24 m long with 4 cabins and can accommodate 8 guests. 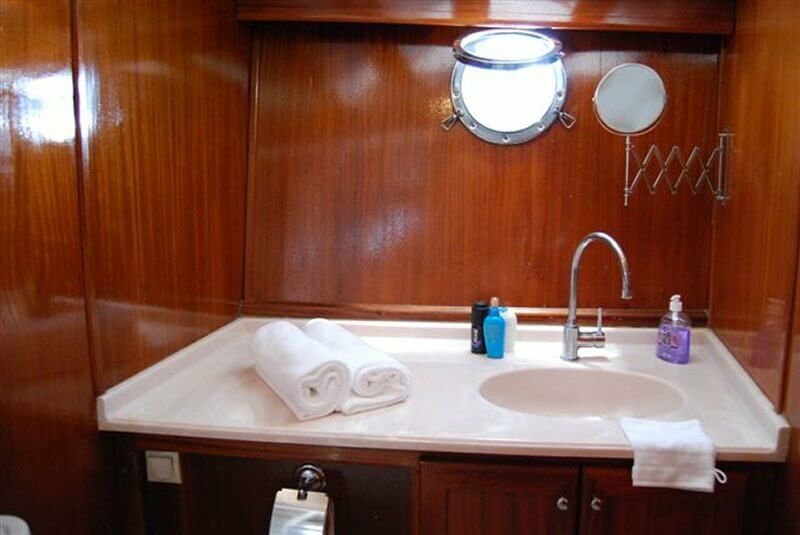 She has 2 masters, 2 double cabins, all with en-suite facilities. 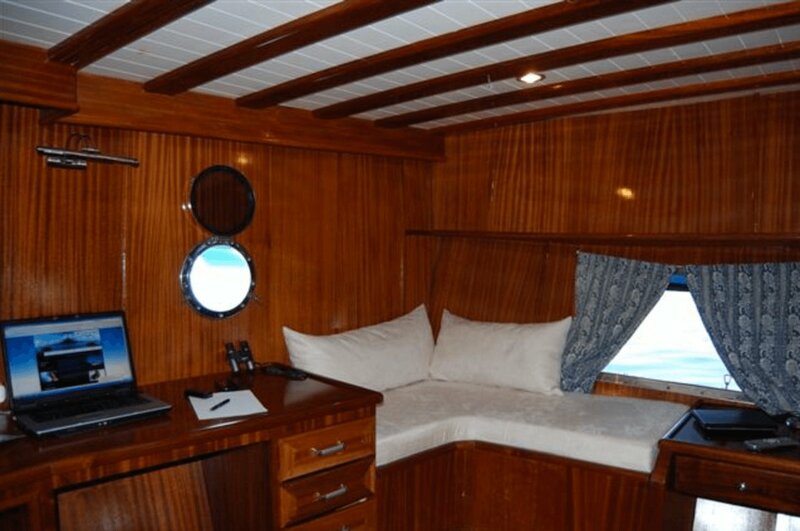 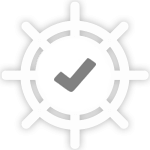 She has 3 crew members who offer a professional service to meet the guest’s needs. 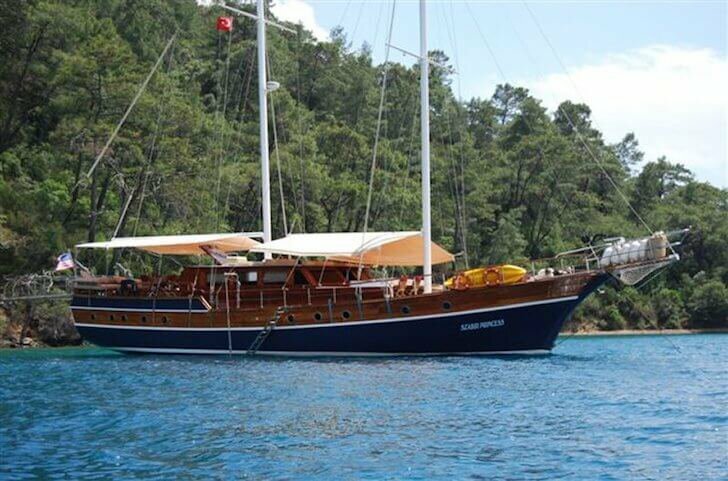 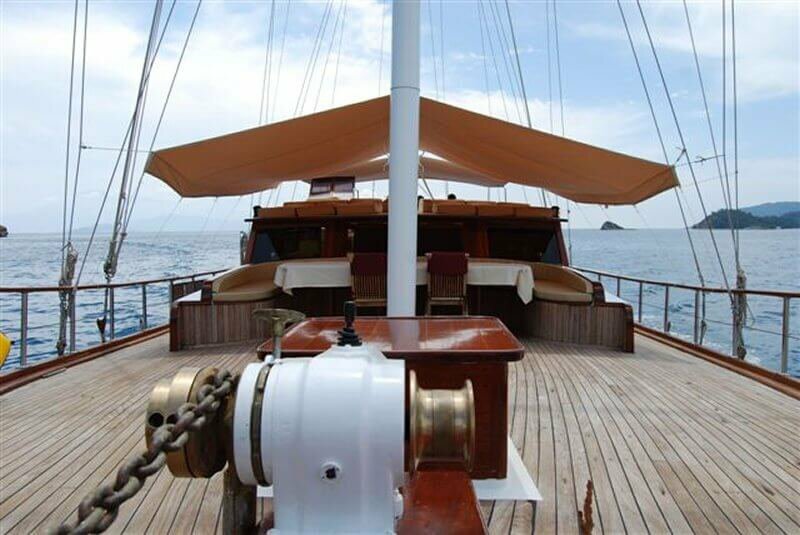 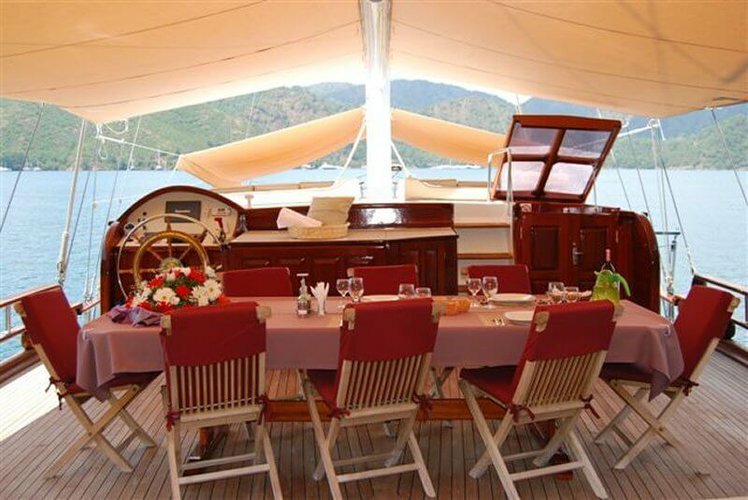 The vessel is a perfect classic gulet to charter in Turkish Riviera and Greek islands. 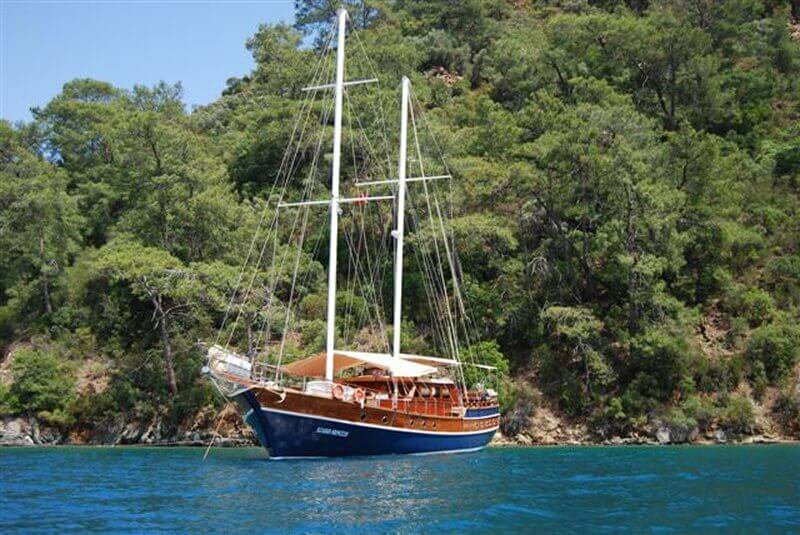 Usually this boat operates around Gocek, TR.